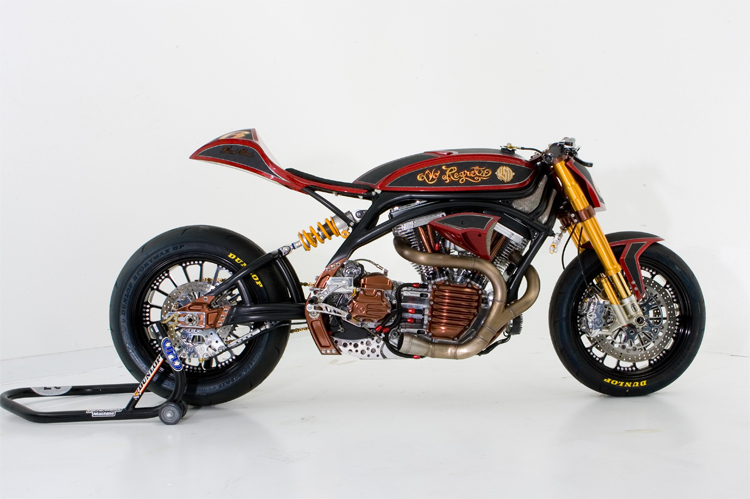 This awesome piece of perfection is a 2006 150 horsepower Harley-Davidson modified by Roland Sands Designs (RSD). Roland Sands has built some amazing bikes over the years but this one is still one of our favourites. With it’s Ohlins suspension and racebike stance it has the perfect balance of looks and performance. It’s hard to believe that this bike was built in 10 days for Discovery Channel’s Biker Build Off. It ended up winning by beating master builder Jesse Rookes. Roland is renound for building bikes that perform as well as they look, and this is no exception. Roland also has a sweet website worth checking out for all the bikes he has built and others he is selling.